People often ask what type of fabric they should use for cross stitch. Well the answer is stitchers use ALL types of fabrics, and you should too! 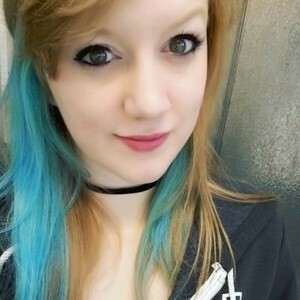 Here I (Sirithre) will attempt to list some of the different types of fabrics available and their uses. 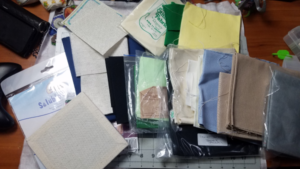 I urge all of you to experiment with various different types of fabrics and discover for yourself which are better suited for you and your projects. First of all, I will be referring to ‘count’ frequently in this article. 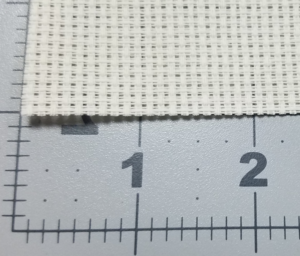 Basically, most cross stitch fabrics are categorized based on how many squares per inch (2.5cm). 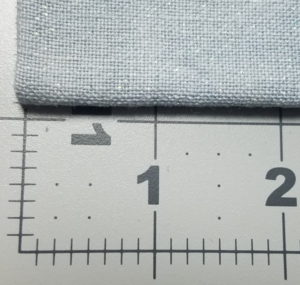 If you’re not sure what count fabric you have, all you have to do is take out a ruler and count how many squares to an inch. As far as I know, inches are used internationally to determine count. Why does count matter? Your projects are going to be different sizes depending on what count you use! Depending on what size you want your finished project to be, you might choose to use a larger or smaller count. Or, if you just want to fit more detail into a smaller space, you’ll use something like 28 count! 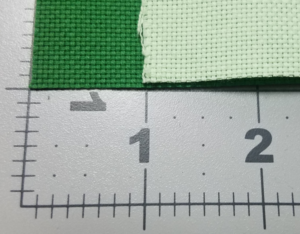 You should pick your count based on what size you want your project to be and what’s comfortable for you to look at (if you can’t see the holes well, you’re not going to have a good time). Aida is easily the most common fabric, and most beginners start with a 14 count Aida. This is also what comes in most kits. Aida has been around since 1908, is made of cotton, and is known for its stiffness. Most Aida today has a stiffener agent applied to it in production to keep the holes open and easy to stitch through. If you decide to wash your design afterwords, you’ll notice that the holes aren’t as obvious anymore because the stiffener agent has been washed way. 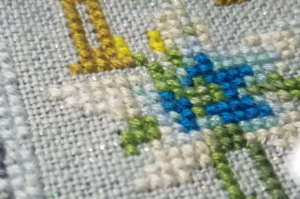 This can make your finished project look less pixelated, but isn’t necessary if you’re not comfortable washing your projects. Aida can be found in a variety of counts, usually from 10 to 20. Aida also comes in a variety of colors, including metallic and glow in the dark! More recently, we’ve started seeing 14 count Aida come in pre-stretched squares. I’ve been using these a TON. 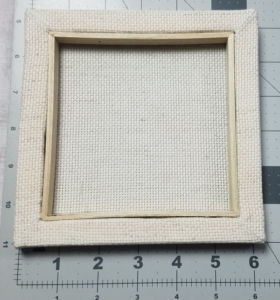 These typically come in 6″x6″ squares, though part of that is unuseable due to the wooden stretcher bars used to make the canvas. These fit a max of 64×64 stitches in the center. 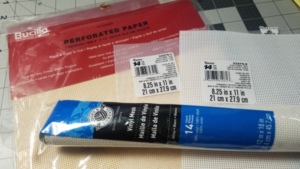 Those of you in the US can get these at Michaels at 3 for $8.99 or at Hobby Lobby at a pricey 1 for $7.99 However, Hobby Lobby also has 10″x10″ squares for $14.99 each. Recently I’ve also seen these available from Bucilla via Amazon, but are also more expensive than Michaels. Those of you outside of the US… well, I don’t know that they’re available for you. You could theoretically buy the wooden stretcher bars most craft stores offer for building your own paint canvases. 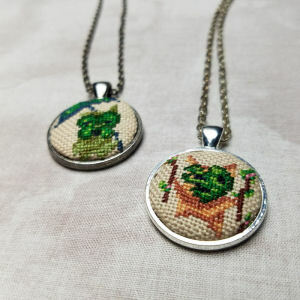 And rather than stapling canvas to the frame, put your favorite cross stitch fabric on there. I’ve yet to play around with making my own stretched canvas, but it’s definitely possible! Okay, Evenweave really just refers to fabric that has an equal number of threads per each. 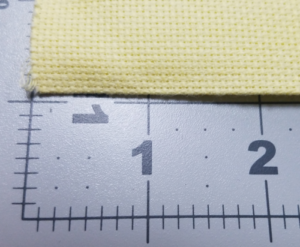 Meaning your stitches should be perfectly square. 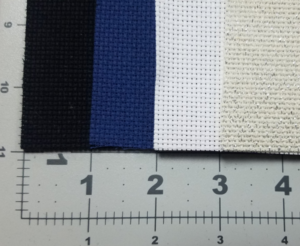 This fabric is much softer to the touch and typically comes in larger counts. 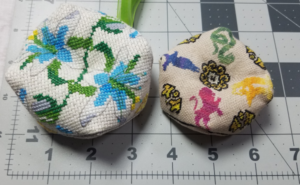 The most common (and my favorite fabric to work with!) is 28 count. But I’ve seen 32 and 36 count as well. There’s a few different ways to work with evenweave. 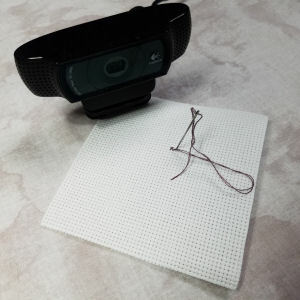 Since it typically comes in 28 count or higher, you might choose to stitch “2 over 2”. Meaning, you still use two strands of thread, but you skip a hole when stitching so your X spans two squares. This essentially means your stitches will be the same size they are on 14 count. This is also really helpful when you have a pattern with 1/4 or 3/4 stitches, because you have that middle hole to work with! 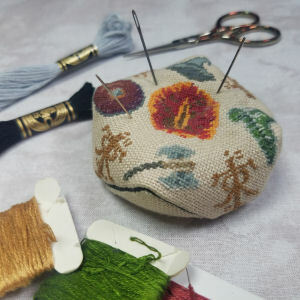 You could also stitch “1 over 1” meaning you only use one strand of thread, but stitch using just one hole. Since the squares are much smaller you may only need one strand for full coverage. 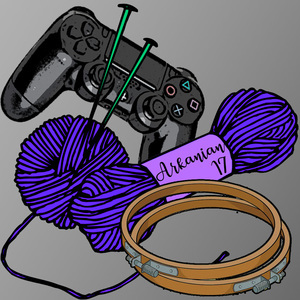 Alternatively, what I like to do is “tent stitch 2 over 1” Meaning, I don’t make the full X, but rather just stitch using ‘half stitches’ ( / / / ) using two strands. 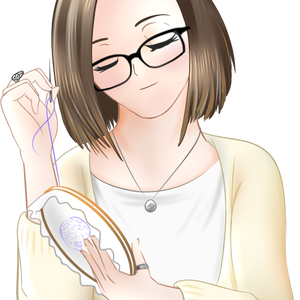 This is especially good for full coverage pieces like Heaven and Earth Designs patterns, as it stitches up much faster, but still doesn’t let a lot show through. Here’s an example from a HAED piece I did. The stitches are a bit uneven because this stitch took me over a decade to finish and was roughly manhandled in the process. 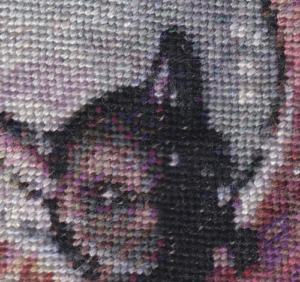 But you can see that despite not doing full stitches, it offers pretty good coverage on 28 count Evenweave. 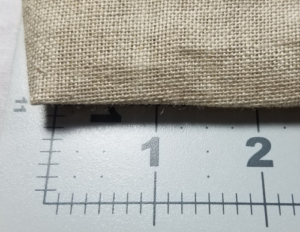 Traditional Linen is very rough and gives a more old fashioned look to a piece. It looks almost like burlap. Linen comes in counts ranging from 18 to 40 count. My favorite type of Linen is Edinburgh. It’s much softer, and typically comes in 36 count. Pictured above (right) is some 36 count ‘Crystal Dapple’ Edinburgh Linen from PictureThisPlus. It’s really hard to photograph, but Crystal means it has a shimmer to it due to metallic fibers being woven into it. It really is quite beautiful. While I might stitch over 1 on 28 count if I want to get a lot of detail in, something as high count as Edinburgh is likely to be stitched over 2. You can see a closeup on the left (click for full size) showing how it looks stitching “2 over 2” on 36 count Edinburgh. This results in the stitches being about the same size as on 18 count aida. Nowadays it’s not just fabric you can stitch on! There’s a variety of Perforated Paper, Plastic canvas, and even Vinyl Aida! These allow for a bit more versatility and let you make more functional designs. Perforated paper is often used to make delicate ornaments or cards. I’ve used plastic canvas a lot for keychains, hairclips, earrings, and such. However, Plastic canvas typically comes in much smaller counts. You might be hard pressed to find 14 count in stores, but it is available online. If you end up going with 10 count or smaller, you might want to consider using 3+ strands or even yarn for the smaller counts in order to get good coverage. Vinyl Aida is exactly what it sounds like – similar to plastic canvas in sturdiness, but flexible like fabric. 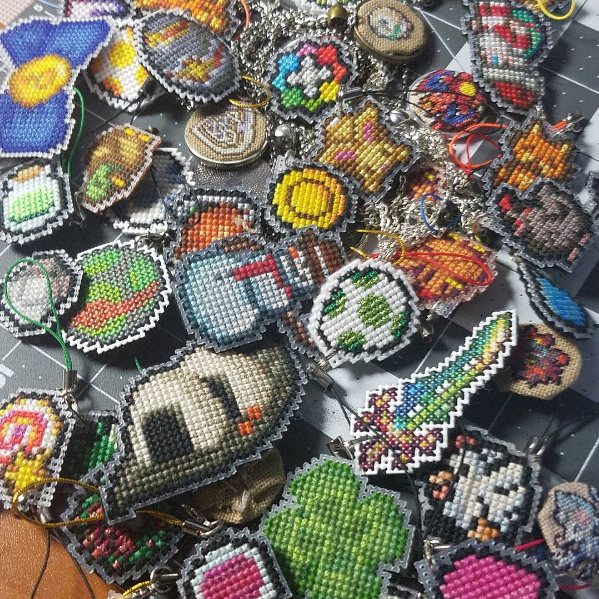 You don’t have to use special cross stitch fabric though! Once you’re familiar with the basics you can branch out and stitch on regular fabric, even clothes! 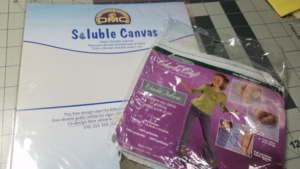 You can use waste canvas or soluble canvas to help keep your stitches even and give you holes to work with. Basically you put these on top of your fabric and use them to guide your stitches. 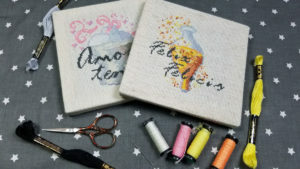 Waste canvas can be pulled out one strand at a time to leave your finished stitches on the original fabric. And Soluble canvas just melts away when you wash it! If you’re running short of ideas of what to stitch on, think like Severija Incirauskaite and just stitch on EVERYTHING. Be creative!